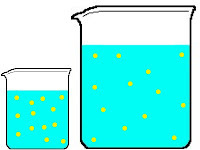 Solution = is prepared by dissolving a solute in a solvent. - When a solution is diluted more solvent is added to it. 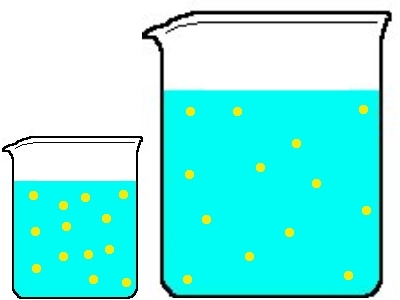 The total number of solutes in the solution remains the same after dilution, but the volume of the solution becomes greater. Concentrated HNO3 is 15.4 mole/L. How would you prepare 2.50 L of 0.375 M HNO3? To calculate how much water we need in order to dilute the solution we take our known volume (V2) and subtract it from V1. So, you would need to add 2.44 L of water to make the equation true.